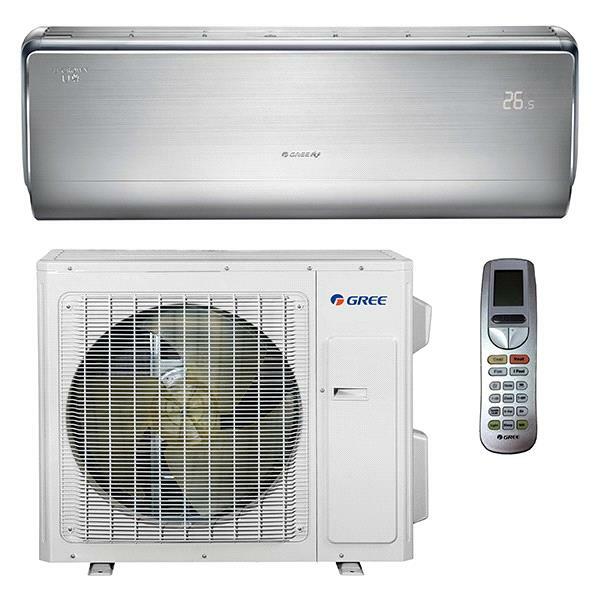 The CROWN12HP230V1AO outdoor condenser includes Gree's DC Inverter technology to improve comfort and efficiency. 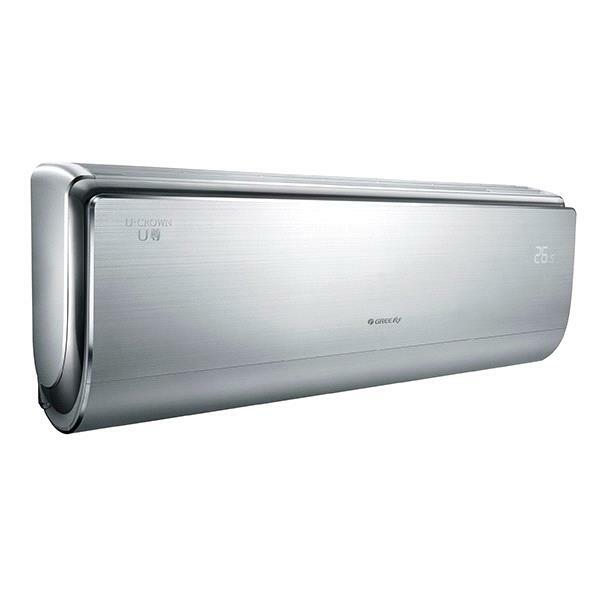 This built-in inverter drives the compressor and allows it to adjust output to the heating and cooling demands of the conditioned space, ensuring a more stable, consistent temperature and comfort level. This technology will also remove moisture, reduce short-cycling, and improve the overall efficiency of your system. The Gree CROWN12HP230V1A system contains the CROWN12HP230V1AO outdoor condenser equipped with Infinity Heating which allows it to operate in the most extreme conditions, even when the outdoor temperature is as low as -20 degrees Fahrenheit. Gree applies a gold fin coating to the heat exchanger of the CROWN12HP230V1AO, which results in improved resistance to common causes of corrosion. This ensures that your unit runs consistently and helps to extend the life of your system. 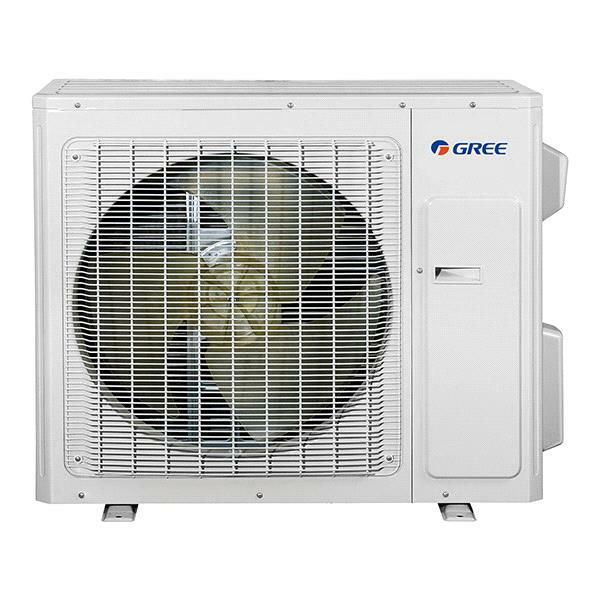 Gree's Crown System has both a Dry Mode and an X-Fan Mode that demonstrates the CROWN12HP230V1A's versatility. These provide optimal flexibility and allow for your system to adapt to changes in humidity, removing excess moisture from your indoor coil. 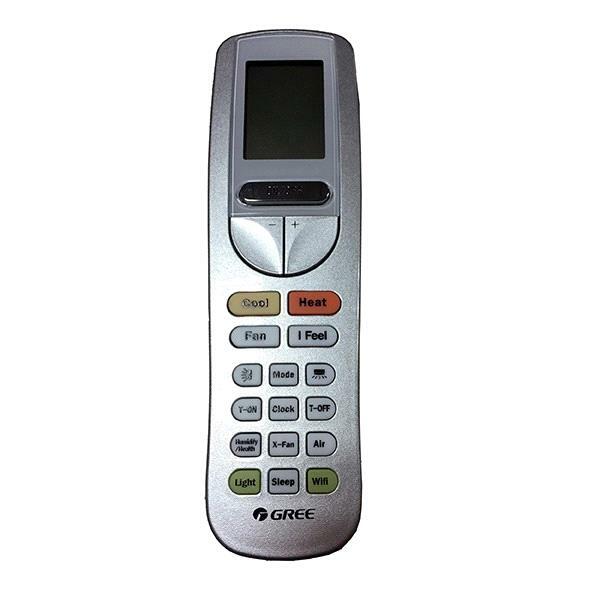 Gree's advanced Mini Split Systems like the CROWN12HP230V1A feature an 'I Feel' button that activates a temperature sensing program designed to keep you comfortable wherever you are. Once activated, the remote controller acts as a temperature sensor, sending commands to the system to keep everything consistently comfortable. The CROWN12HP230V1A operates quietly, it is barely noticeable. This operating design automatically adjusts airflow slightly to reduce fan noise in the unit, providing you with perfectly quiet comfort. The CROWN12HP230V1A has a unique defrost technology that helps to maintain room comfort and save money on energy by cutting out unnecessary defrost cycles. While in heating mode, frost buildup will gather until detected and will automatically engage the defrost cycle. Once the frost has been removed, indoor and outdoor fans will resume normal operation. The CROWN12HP230V1A system features four different Sleep modes that incrementally increase or decrease the unit's desired output to decrease energy use and increase savings. When heating and cooling, these modes allow your system to automatically adjust the set point a few degrees colder and hotter, respectively, during a set sleep schedule before kicking on to allow for decreased waste without any effect upon your sleep cycle. The unit comes preprogrammed with gradual and adaptive cycles, and also offers the ability for customized cycles that are entirely user-programmed. In some cases, you may need to reach the desired temperature in a shorter amount of time. The CROWN12HP230V1A has a Turbo Mode that allows for an ultra high speed fan to kick in. This will boost the unit's performance in both heating and cooling modes until the feature is deactivated. Gree's Crown line of Mini Split Systems has built in WiFi controls, allow you to easily adjust, modify, schedule or set your system from any compatible smartphone or tablet. Line Set - This double insulated tubing transfers refrigerant efficiently between your outdoor condenser and indoor units. Drain Tubing - Drain tubing facilitates the reliable and effective removal of condensate from your system. It connects your indoor units to drain locations of your choosing. Disconnect Box & Electrical Whip Kit - The Disconnect Box & Whip Kit provides a safe and simple way to connect your outdoor condenser to your fuse box. Connecting Wire - This durable, insulated wire provides power to your indoor units from your outdoor condenser. Outdoor Condenser Plastic Pad (Optional) - This pad provides an even surface, free of debris, on which to place your outdoor condenser. Wall Bracket (Optional) - A simple and sturdy way to mount your outdoor condenser off of the ground. Adding these accessories to your order will provide a complete, ready-to-install mini split system.